Windward Oahu residents received a Christmas present yesterday from the city with the opening of the new Koolau Driver's License Center. It is a gift that will also benefit the entire island, city officials said, by helping to alleviate congestion at driver licensing sites in Kalihi, Pearl City, Kapolei, Wahiawa and Waianae because Windward residents will no longer have to cross the Koolaus to get a new license or take a road test or written test. 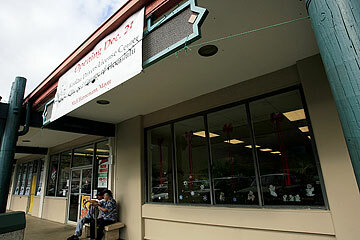 Where: 47-388 Hui Iwa St., Suite 19, Koolau Center (formerly Temple Valley Shopping Center). Lease of $3,068 per month. Description: 3,000-square-foot facility with a full complement of driver's license services including written exams, permits, road tests, renewals and duplicates. Online road test appointments begin Jan. 15. Staffing cost: $250,000. Staff includes a supervisor-examiner, three examiners and four clerks. "This facility, we expect, will serve anywhere from 60,000 to 80,000 potential registered drivers on this side of the island," said Customer Services Director Jeff Coelho. "It's going to be a heavily used center." Even before the maile lei was untied yesterday morning for the official opening and blessing, the center had already conducted two road tests, and the phones were jammed with callers. Dejean Nelson, 21, moved to Kaneohe from Arkansas three weeks ago and was at the center to get a Hawaii driver's license. "Very convenient," he said as he filled out a form. "It's great. The more, the merrier," said Gail Juan, a retired city employee who renewed her driver's license. Juan worked at several driver's licensing centers, including the one in Kaneohe before it closed in 2004 during the renovation of the Kaneohe Police Station. "Since the Kaneohe one closed, this one is convenient. It's better," Juan said. The city decided not to reopen the center because of safety concerns due to the location across from Benjamin Parker Elementary School, limited parking in a lot it shared with the Kaneohe library and a lack of staffing. 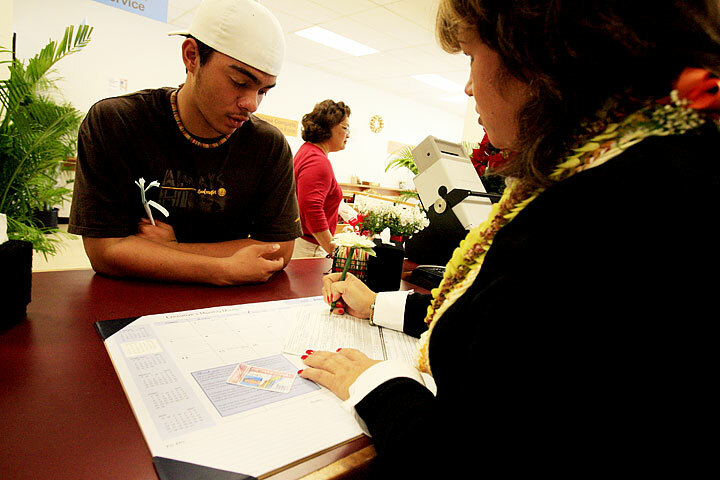 Since then, Windward residents have been able to renew driver's licenses at satellite city halls like the one at Windward Mall, but the closest locations for road tests were Kalihi or Pearl City. Mayor Mufi Hannemann said that restoring a driver's licensing location for road tests was one of the top concerns of the Windward community when he campaigned for mayor in 2004. "There was not a place that I could go on this part of the island where someone was not coming up and mentioning the need to have a driver's licensing center again on this side," he said. City Council Chairman Donovan Dela Cruz, who represents a portion of Windward Oahu, said he tried once to get a new driver's license and went around the island looking for a center without a long line. "It's going to relieve the pressure on the other driver licensing centers. So it's a win for Windward Oahu, but it's also going to have a positive impact on other communities because hopefully the line won't be so long," Dela Cruz said.